PROVIDENCE, Rhode Island, March 21, 2019 /PRNewswire-HISPANIC PR WIRE/ — Recent release “Cofre Del Tesoro: Complemento Del Hogar”, written by Flavio Vicente, is a practical and necessary work for everyone who manages the finances of their home. Flavio Vicente brings us a charismatic and collaborative work, through which he gives us advice on how to obtain and manage finances in the home. The main objective of this work, is to have an idea of how to learn to manage the economic resources that each person possesses and also to encourage the creation of new resources that allow you to have a better and greater material wealth. Everyone who learns and understands these ideas will see that their home will be complemented by what they have always considered difficult to achieve: filling their treasure chest. The center of this is to distinguish in what spills your money and that is not necessary to realize, assuming the responsibility of distributing in a reasonable manner, all the income that is capable of producing, among expenses, sharing, savings and investment. When this skill is acquired and becomes custom, it is easy to produce new ideas and resources will be available to bring them to completion. Find out why and automatically they will come to the how. 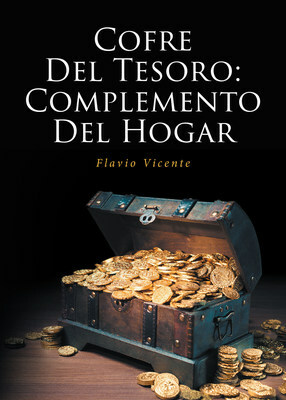 Published by Page Publishing, the work of Flavio Vicente “Cofre Del Tesoro: Complemento Del Hogar”, brings us a compendium of teachings and advice through which we can balance and even improve our home economy. For readers who wish to follow teachings and adopt life skills, they can do so, through reading this wonderful work, can purchase “Treasure Chest: Home Complement”, in any book store, or in stores online from Apple iTunes, Amazon, Google Play or Barnes and Noble. Page Publishing is a traditional New York-based, full-service publishing house that handles all the intricacies involved in publishing its authors’ books, including distribution in the world’s largest retail outlets and royalty generation. Page Publishing knows that authors need to be free to create – not overwhelmed with logistics like eBook conversion, establishing wholesale accounts, insurance, shipping, taxes, and the like. Its roster of accomplished authors and publishing professionals allows writers to leave behind these complex and time-consuming issues to focus on their passion: writing and creating. Learn more at www.pagepublishing.com.